You see a map that displays territory of Ukraine. interesting map of Vasyl'kiv with gps calibration for Garmin. topographic map of Boyarka calibrated free download. free map of Glevakha here. interesting map of Borova 1 cm to 1 km presented. interesting map of Khotov with gps calibration download for free. topographic map of Zabor'ye calibrated this. interesting map of Yelenovka with gps calibration free download. actual map of Yatski free download. map of Vita-Pochtovaya 1 cm to 1 km presented. free map of Vinnitskiye Stavy for gps. detailed map of Velikaya Snetinka with gps calibration for you. actual map of Velikaya Ol'shanka 1 cm to 1 km presented. 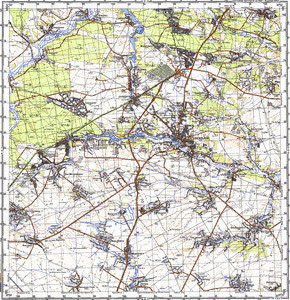 topographic map of Velikaya Motovilovka и OziExplorer calibration presented. actual map of Trostyanka for gps. actual map of Roslavichi with gps calibration free download. interesting map of Pogreby и OziExplorer calibration for gps. actual map of Plesets'ke free download.